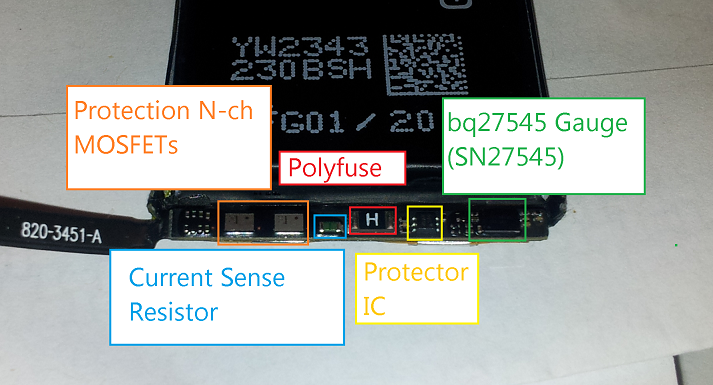 This entry was posted in Batteries, Rambles, Teardowns, The Operation Failed Successfully and tagged bq27545, iphone, iphone 5 battery connector, iphone 5 battery pinout, iphone 5 battery sn27545, iphone gas gauge, sn27545 by ginbot86. Bookmark the permalink. I’d like to measure the power of the iphone 5 battery with the power monitor tool of moonson solutions. I managed to do that for an Android battery with some help from my mates. I’m not an expert in electronics. I’ve checked on the internet but i can’t find any diagram. The iPhone battery will be more challenging than the battery procedures outlined in the PDF manual you linked. The fuel gauge is used by the iPhone to measure its power use and also provide state of charge information, and you will likely need to detach the Li-Ion cell from the fuel gauge PCB entirely in order to hook it up to your power analyzer. I’d recommend setting the power supply to 4.2-4.3 volts initially and waiting a few seconds for the fuel gauge to attempt to get an open-circuit voltage measurement. The gauge will be rather unhappy about being hooked up to a power supply instead of a Li-ion cell, but it will at least allow in-circuit measurement of the iPhone’s power consumption. As a word of caution, those cell terminals are *unfused* and any short circuit that occurs could cause some serious damage to your battery, your workspace and possibly yourself. Use a temperature-regulated soldering iron, use flux on the terminals to assist removal and work quickly so the PCB and cell tabs won’t be heated too much. Thanks for your detailed explanations Jason, it is now more clear to me on how to proceed. I’ll be very cautious with this, thanks for the warning. I’ll let you know how it goes! Hi again Jason, just one quick question. When you exposed the iPhone5 battery PCB layout, did you applied any sealing so the battery doesn’t have any hole where the gas can escape? I ask this because I connected copper tape to the cell+, and as soon as i did the same for the cell-, there escaped some smoke from the battery (which was connected to the iPhone and with the iPhone turned on, I didn’t have the copper tapes connected to the Power Monitor yet). Or maybe there’s a way to expose the PCB layout without making any crack on the upper part of the body of the battery? The foam tape was there to begin with; it’s just used as a bit of a cushion for the PCB. Laminate/pouch cells don’t have any means of venting gas (they just puff up like a balloon). In your case, if your battery started smoking when hooked up, then something has gone really, really wrong with your setup. Were you using the original Li-ion cell in your setup, or are you using an external power supply? On that note, you didn’t happen to short Cell+ to Cell-, right? If possible, could you send me some pictures of your setup? I may be able to assist you further if I am able to see how your setup is configured. Hi Jason, I attach the link of some ss. What I basically did was adding a couple of copper tape strips on the poles to connect them to the Power Monitor hooks. On previous tries before that battery puffed up, the power Monitor detected that “something” was connected, (i don’t know if the battery or the phone too). When I set up the voltage (to 4.2V as you said, i also waited a long time to be sure the connection was stablished) and hit on Vout Enable button, the PM didn’t detect any current from the copper tapes. Notice that below the + connection of the battery I put Kapton tape as stated in page 45 on the Power Monitor manual to replicate the same proces as on Android. Before trying this last failed configuration, I attached 4 thin copper tapes for each pinout on the device (it was very difficult to avoid them touch each other but I achieved it , On this config, I also attached 4 thin copper tapes to the battery connectors, so the battery was outside the iPhone. The question remains if maybe there wasn’t enough contact surface on the 8 thin copper tapes to transmit the current. I ordered some TEST CLIP SET FLUKE AC283 and TL222 cable leads to attached them to each battery pin of the device to ensure there’s a good connection. I just wanted to remind you that i’m an ignorant regarding electronics, if something wasn’t clear let me know. Your Google Drive links aren’t working for me; it’s throwing a permissions error of some sort. You shouldn’t really even need the Li-ion cell to do measurements, if you’re hooking up to Cell+ and Cell- on the PCB itself. In the case of the Power Meter documentation, the use of the Li-ion battery packs are more as a “spacer” to allow an electrical connection to the battery contacts. I just wanted to add that we still tried another configuration. This worked for some minutes and the iPhone died. We soldered directly to the battery pins in the device, also the ones in the battery itself. The cable we used wasn’t the typical copper one with 20-30 tiny threads. it was an aluminium one instead. We managed to get some metrics but some soldering points broke, and with them some pins were ripped off from the device pinout. Also, as imagined, soldering on the pad of the battery itself melted the plastic surrounding the pins… actually in the end only the 4 spots on the surface of the pad were left… curiously, it’s when one those silverish 4 spots only remained that the metrics worked for some minutes. The soldering iron was not temperature regulated so i can imagine that we also might have affected some tiny components. I was really impressed that you were able to read out the battery chip. We are looking for a simple solution to read out chip for quality control. Would be great if you could sent me a mail for more details. 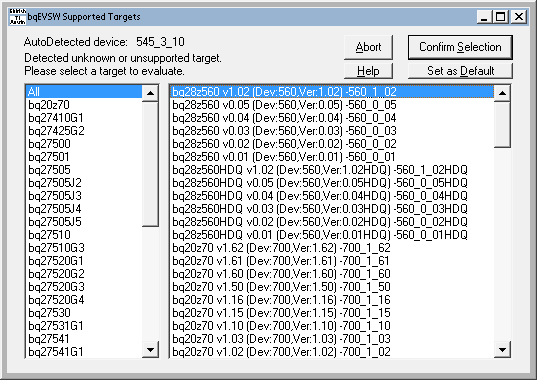 In one of my blog posts I published some software that uses a PC’s serial port to read out HDQ-equipped fuel gauges. 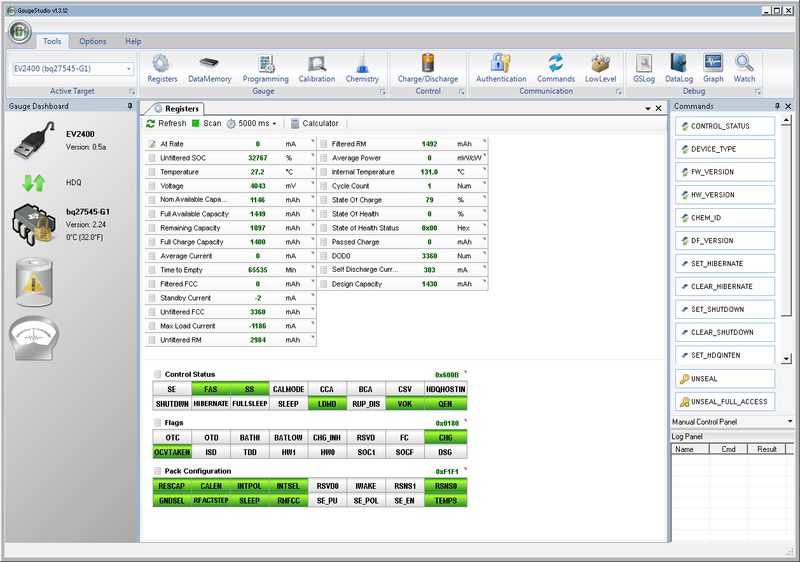 (see https://ripitapart.wordpress.com/2014/09/30/reading-out-hdq-equipped-battery-fuel-gauges-with-a-serial-port/ ) As for I2C gauges (TI’s gauges are I2C by default and are made into HDQ gauges during the factor programming process), that was done with TI’s EV2400 adapter (sadly it costs $200 when it used to cost me $50 several years back) but occasionally the older EV2300 can be purchased for much less than that. If you are interested in the source code, I can email a copy to you, with the email address that you submitted when you posted a comment on my blog.